This last Weekend has been very healing, as we were up over 9000 ft altitude on the Mountains again, enjoying pure and clean air, some ice and snow, and some fog and sunshine. In the morning, the huge mountains were almost all covered by fog. It looked so magical. This is my “Sound of Music”, how I grew up literally. This is for today the last Article of a Series, to conclude some important facts and share with all of you, regarding ongoing scientific research and the main theory we are going to prove, via Science methods. Up until recently, nobody was talking about Twin Flames, not in that “Pop Culture Mainstream type way” as it is happening now increasingly. Well, good! Let´s bring this memory and knowledge back, so everyone knows that they are not “created alone”! Many people keep writing me, asking HOW they can FIND their Twin Soul and reunite. I keep saying, look within YOURSELF and work on YOURSELF, the rest happens in the right timing guided by God directly. But many people long simply for it, now. They do not want to think of it in the way it is, but once hearing any “beautiful and interesting Twin Flame Stories” go out there and want to “hurry it and have it now to enjoy romance aspects of it”- but this is not how it works. Twin Flames are not a “romantic fantasy” nor is it actually all about that. That might be the part that triggers the jealousy vibe in others most, because human society thinks in such ways, here, but Twin Flames have a much higher purpose and do come here for bigger spiritual work, for all humanity and the Planet itself- not selfish “romantic time in duality” it doesn´t even work for Twin Flames in the current condition of the Planet and society- they get fought down if they relax romantically together only! This is very ancient Knowledge, about the Human Soul “Details of Creation and Internal Aspects”- it is about YOU, not “someone else”. That is the whole point, Twin Flames are not “someone else”- your Twin Flame is simply a part of your own Soul, and there you find the Key to your Twin Flame, not “in someone else”. Once you did this, your Twin Flame automatically comes into your life, and you run into each other naturally anywhere. Why? Because you have MERGED YOUR INNER REALITY AND GOT READY, and then YOUR INNER READINESS MANIFESTS THE TWIN FLAME REUNION IN THE PHYSICAL. Then you have many, many Soul mates, general Soul Family and Soul Children, Soul Siblings and much more you can connect with, just like on Earth and much more forms in fact in the spiritual realms. But the Twin Soul is you, and you are you, and your free will and inner consciousness can only have one completing counterpart, another part of YOU. We will provide soon more a scientific language for the theory and terms from Science, that are fields that can be used well to prove the Twin Flame Soul, shared between two different incarnated Persons. In common science facts, it is known that when you take a substance and produce 2 products out of this same source substance, you MUST HAVE similarities shared by both end products, as they came from the same source. You may also think here of the biological twins that are born from ONE EGG. They look alike, and are in many things alike. But this is merely a physical example for learning and this research going on. Here, we are not talking about biological twins born from the same mother and father, but two not directly related persons, that share the twin characteristics due to the SAME SOUL INSIDE. 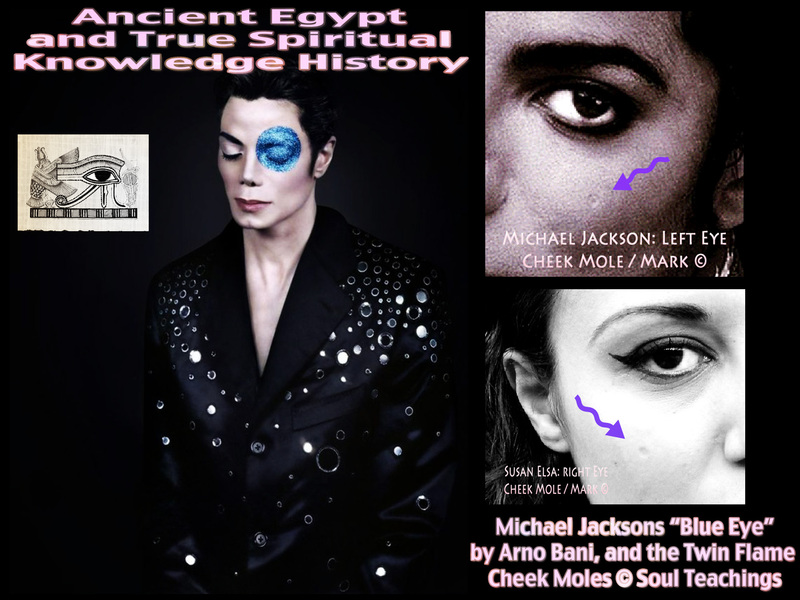 This is a new Science Theory for modern times, to prove the original knowledge from ancient Egypt about Twin Flames, to in fact prove to the general public that TWIN FLAMES REALLY EXIST AND ARE REAL. It is one of my most important assignments in my life purpose, which is why God led me into Paranormal Science Research since 2004, so now the Interfering forces cannot affect this truth coming forth, by any lies or fraud tactics. 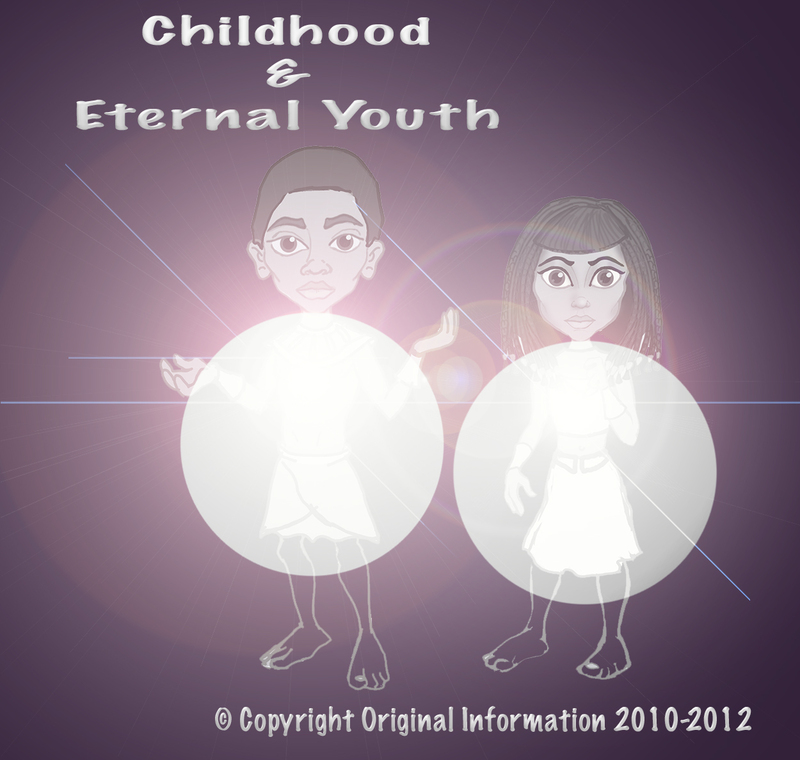 It is impossible to really interfere with real Twin Souls truth, and many people see this now manifesting. It´s like some stranger coming into a DNA biological testing, to “claim falsely to be the twin of another” and impersonate the real twin counterpart. The test will only and simply reveal factually the truth, and it is visible and clear. If you think and look back on Michael Jackson´s features, and personal expressions regarding facial expression, eyes position, eye brows position, the slight difference between right and left eye, the smiling wrinkles, the teeth, the lips, the facial bones and shapes many Fans here call “apple head style” – you cannot deny if you see a female Person, claiming Twin Flame Soul Connections and sharing the exact identical facial details that make a personal individual expression up and form the likeness of an individual. 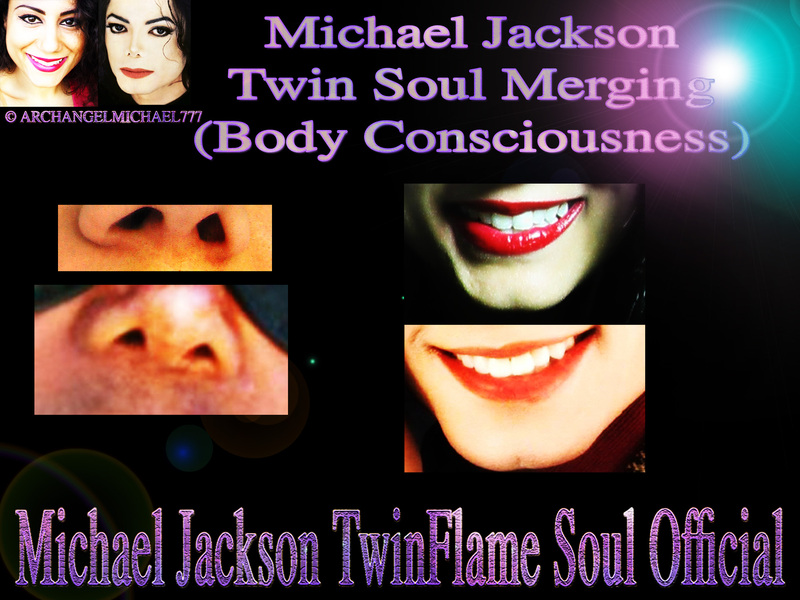 If you see a clear, embodied Twin Flame sign then additionally, such as me having a mole on my right cheek, and Michael a mirroring identical round-shaped mole on his left cheek, then it rounds up everything as in facts others can see too, even if some delusional folks decide to NOT WANT TO SEE THE TRUTH. That is called a twisted reality perspective. Nobody else has all these exact parallels, and copyrighted facts, and scientific facts from prior to 2009, backing up such a spiritual claim. Because I AM his Twin Flame Soul, and the only real one in this whole circus going on, and Hollywood copycats aim at me, not at the other pretenders. Now, let us take a look at these details. In this comparison image for educational and science research purpose here, you see clearly the eyes position, and in that case, it does not mirror like the cheek moles, but is IDENTICAL. 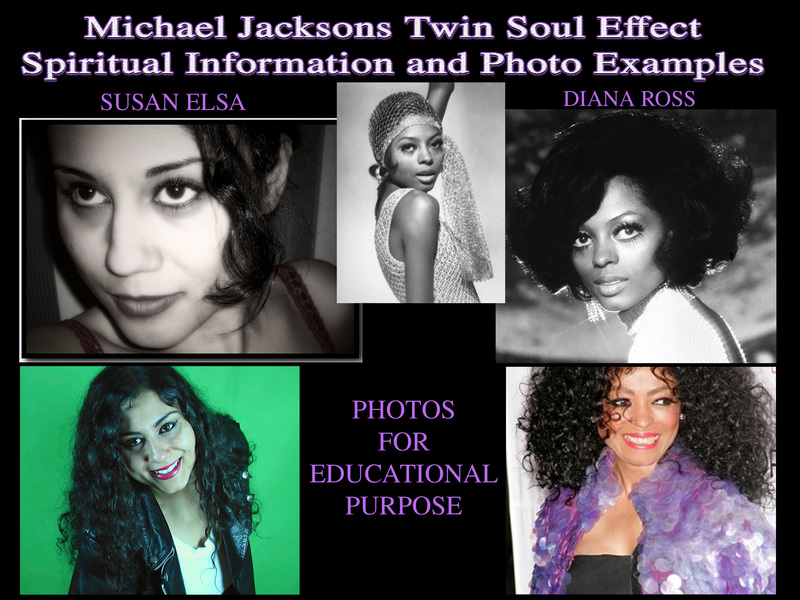 Diana Ross had that too, and Diana Ross symbolised prior to my Reincarnation and Birth in 1982, to Michael his “Counterpart experience feeling and vision activation”. Michael and Diana used to have a little private thing going, saying about each other in separate comments and interviews, that “they sing together in spirit”. 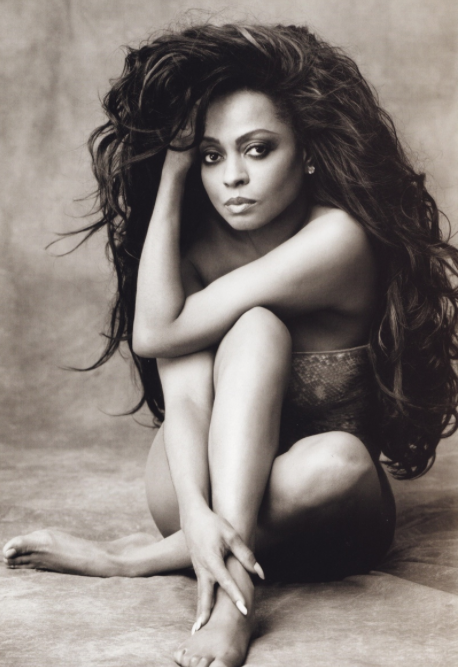 And from the start, he saw this similarity to Diana Ross in me and said my breathy vocals in singing remind him of her voice as well. 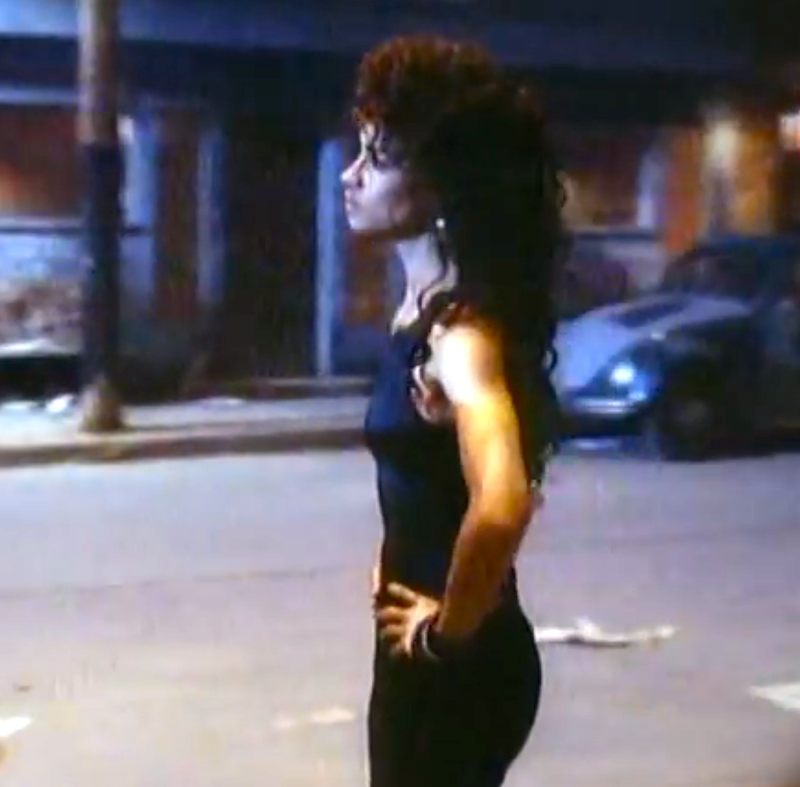 He said, quote:“You are like the Egyptian Diana Ross”. 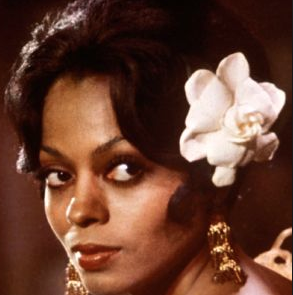 Interestingly enough, Diana Ross was the first Black Woman to make white Guys totally go nuts over her, just like Michael did it as a Black Man, later, with the white Audience. Back then, the Music fields of black and white music so to speak, where very separate still, and before copyright laws in the 80s, many, many black artists were ripped off and copied by white bands and “artists”, selling their work as their own. Now, we are in times where people seem to have a disturbed connection and communication with the “Arabs”-and this is exactly why, for these higher purposes of healing humanity and UNITING everyone, I had to be reborn as Egyptian, once again, and Michael also is not too far from his original Osiris roots in his last incarnation, having been reborn as an AFRO-American. 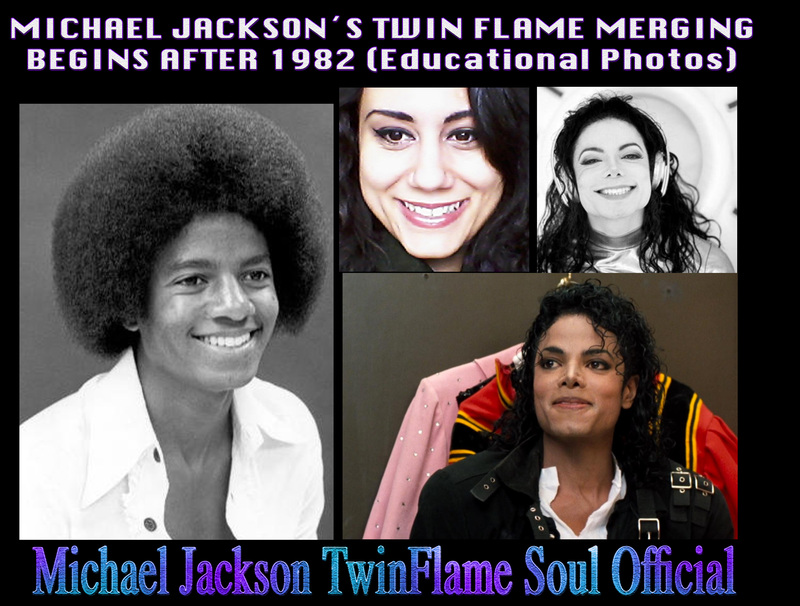 In this older photo, compared to Michael´s after 1982 and taking on the Twin Flame Likeness Style and all that, you see that the Smile has always been alike, even long prior to meeting, and 2009 when he passed. All those Photo documentations have been published since a while, and here comes another one from the previous articles again. Here you see, again, the deep DNA links because teeth cannot be faked, and the whole wrinkles and chin and the dimples are also identical. 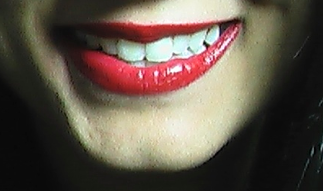 Just, a little new information here: I had to have teeth brackets as a Teenager, and the Teeth and Jaw Specialist had to remove a few teeth in order that they do not move onto each other and are aligned well- because my mouth was too small and I had too many teeth, he said. 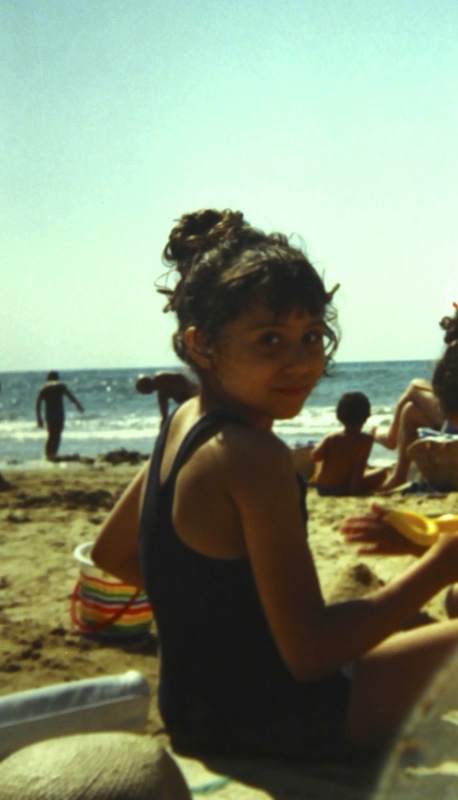 Yes, my nose is natural, and Michael´s “natural nose” from birth was different than the nose you think you saw later on. Don´t trust also all the tabloids as they sometimes photoshopped his face, put more make up and red lips contrasts on him to mock him. I remember when we met the first time how fascinated I was with that little but widely debated detail: His nose looked totally nice, and different than how some photos I saw prior in media outlets and I thought, wow, they must have manipulated some pics in recent years! 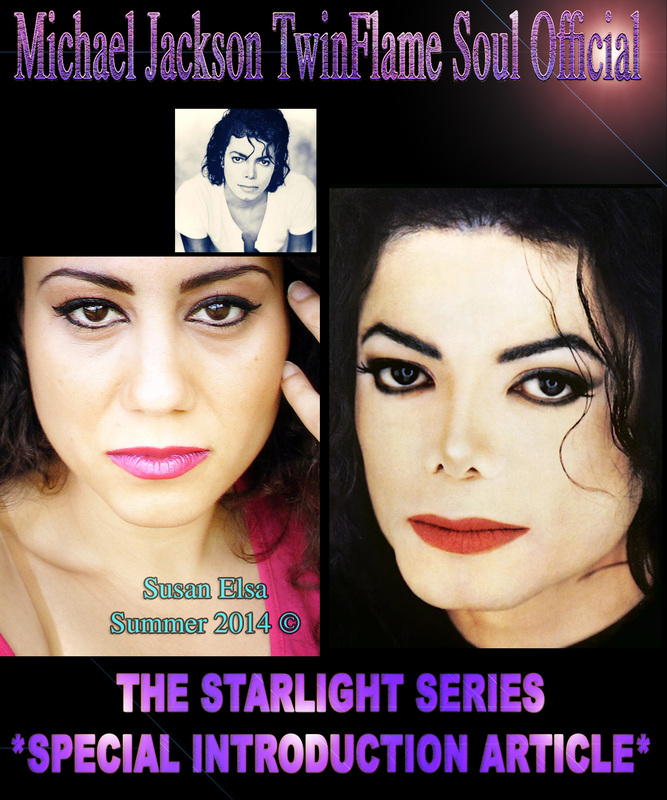 I am not going to talk about make up tricks and secrets Michael had, he doesn´t like speaking about it. But you see also clearly, the nose details, shaping it intuitively “more similar to my natural nose”. After, as I explain in my book, I felt like “my nose has this little bump I don’t like and want to change” and I had a really great surgeon, which was doing a medical surgery on me at age 17 for breathing problems (nasal septum deviation)- and he totally talked into my consciousness and made me re-think and not do any plastic surgery externally on my nose. 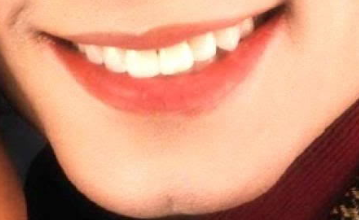 You also see, the details of the chin- Michael´s chin was not as “pointy and with dimple” like mine, so he did that too. 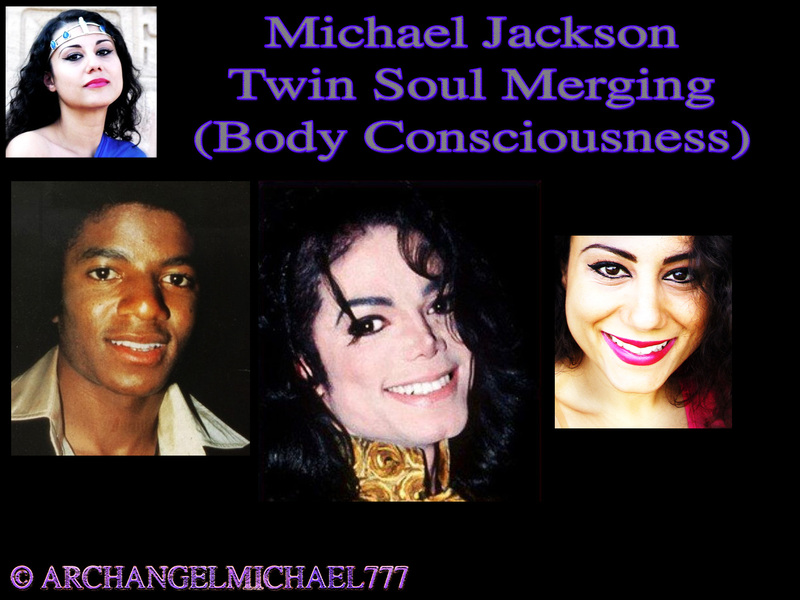 It was pure soul feelings, a changing consciousness merging with his Twin Soul, and because of the shared soul, sharing also the “aligned body consciousness”. You may compare for yourself, it is not some “theoretical question”, you can see the similarity very clearly. Not just did Michael make a huge merging quantum leap in the public stage, but it was showing his clear precise genius spiritual skills. He performed “his soul”, right there, in the spotlight for all of you to see, and share the vibes and enjoy and heal. Feel loved, feel uplifted. Yes, here you see this whole mysterious appearance Michael Jackson had, which the public kept discussing, and where it came from. 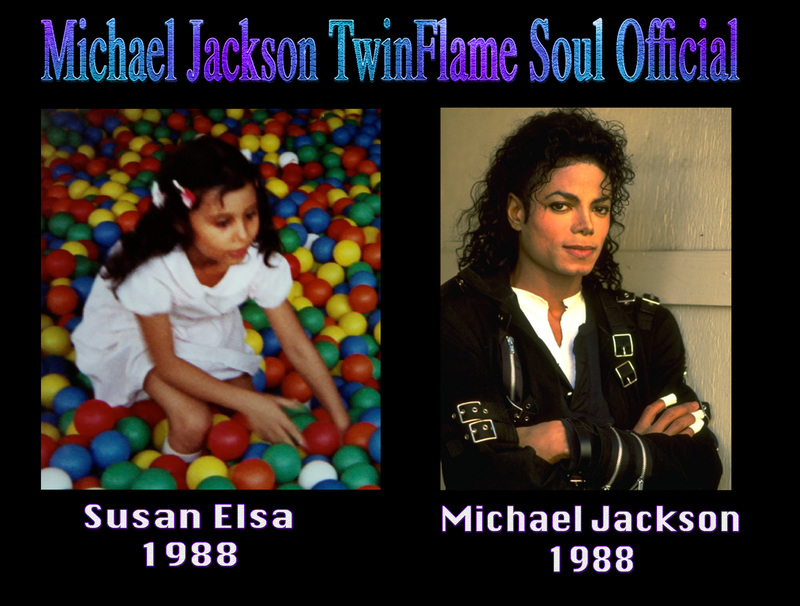 You can´t deny or say anything about that, you know now why he did what he did and that he was not bizarre, nor gay nor anything of the false accusations lies about kids, but he was ONLY WITH HIS FULL INNER FOCUS thinking about his Twin Flame, searching for her, that is all. A long way, it seems. 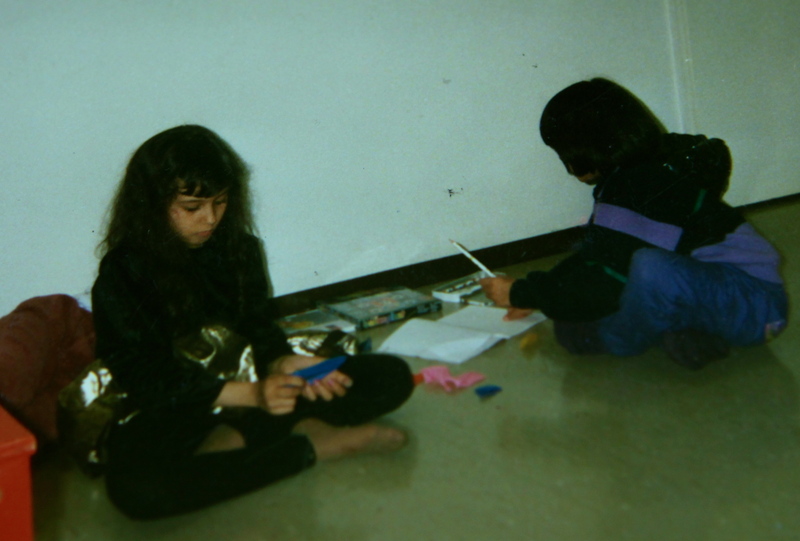 But then again, in the next article then more, even our Childhood Appearances do have similarity, the facial expressions for sure. This is what true Twin Flames are- they are literally the same, but seen from two different sides. I had no idea back then, that my life would change like this and that I would meet him in person and discover such a bonding detail like the literal mirror, not just poetic thoughts or so from a child, but a literal physical mirroring mole and all the similarities we shared. 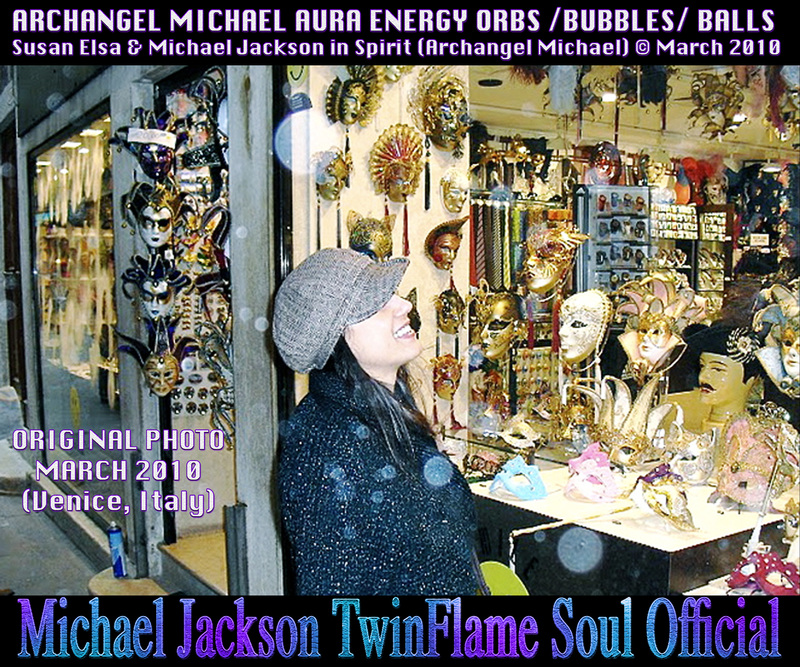 In this original image from March 2010, shortly before the first image lyrics seen, of the first Twin Soul channeled Music “ONE LOVE”, you see the Archangel Michael Aura, and the energy orbs /bubbles clearly. I was just looking at Michael, in that moment, and my Dad took this Photo and had no idea. 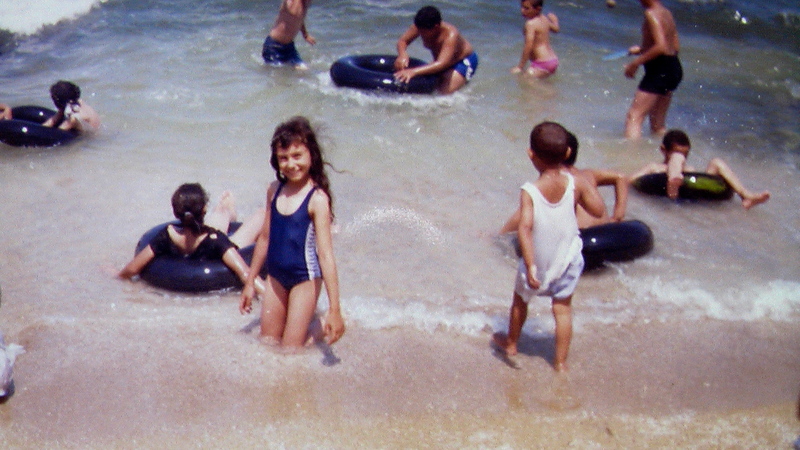 In the three above photos for educational and science research purpose, you see the parallels that were happening when I was still a little Girl yet. Sometimes I can´t believe how genius and precise Michael was able to channel all this, from a distance. 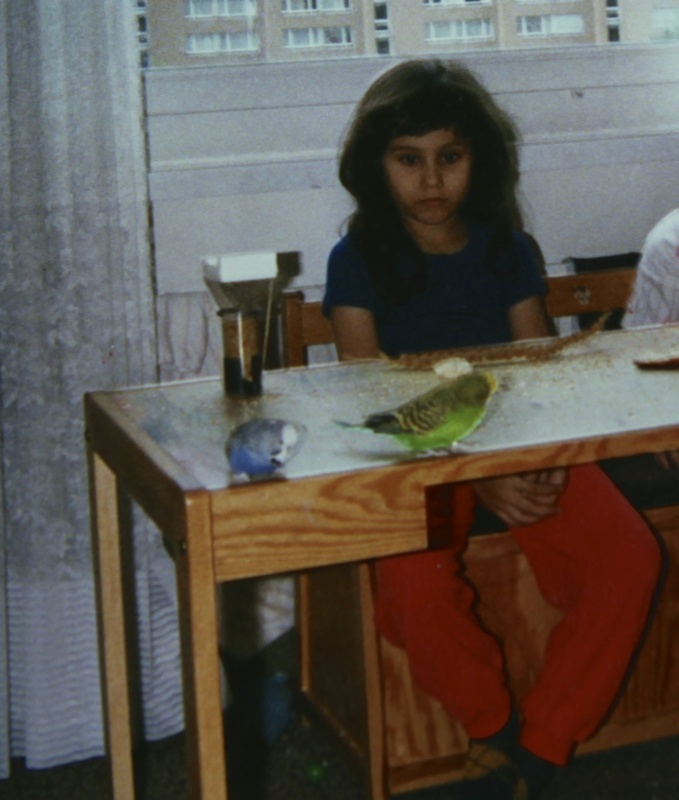 I had two Birds, as you see in the one childhood photo, and AFTER Michael wrote about it, in relation to my Singing, and my Soul too “being within his Song”- a big announcement about my lifelong Music visions, right there, totally clear to the public even by now. 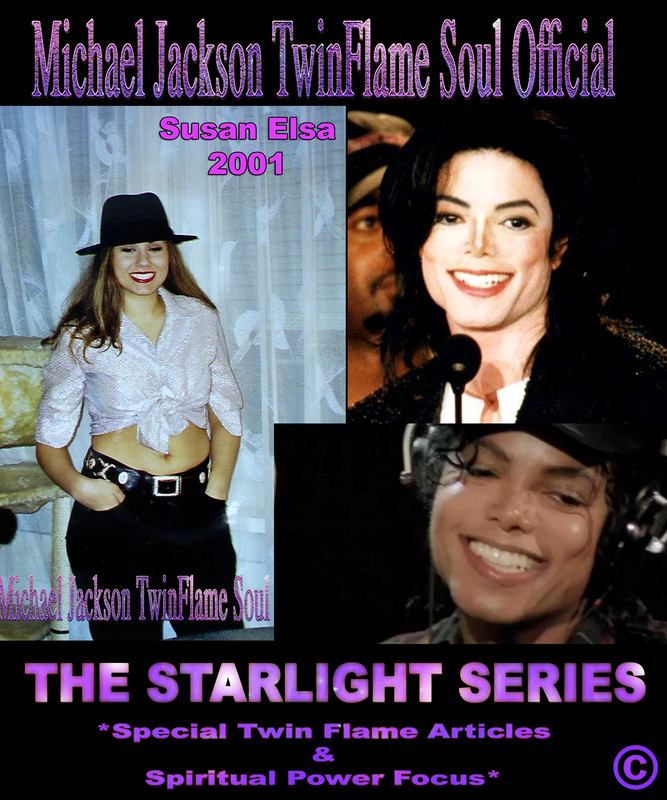 In the above two photos for comparing, you see me literally, little Susie, at my Birthday Party wrap up, at the same parallel factual time when Michael was coming up with all this stuff for “The Way You Make Me Feel” and the depiction of “the feminine Version of Himself”. 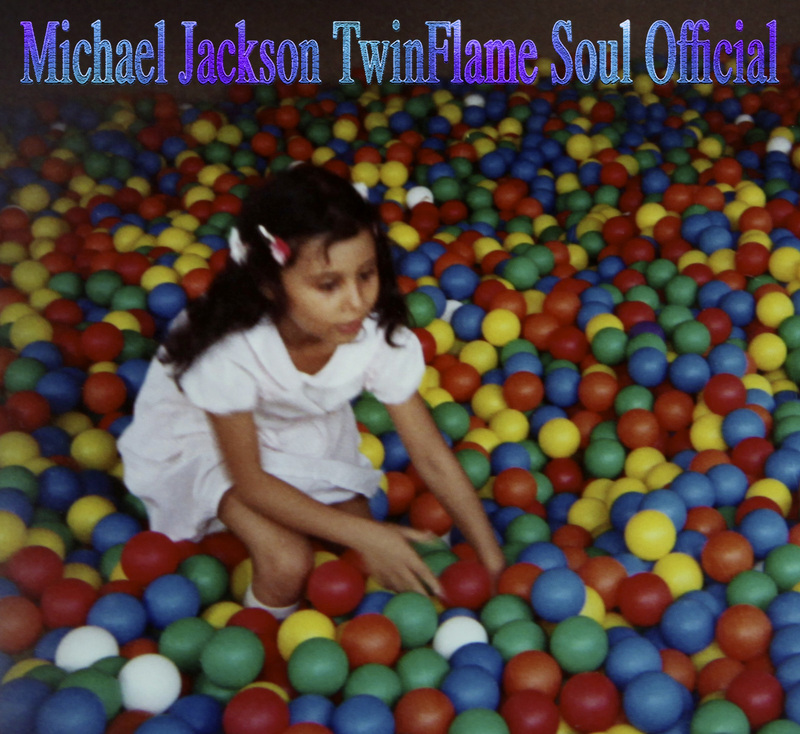 Everything happening in my Childhood, in the 80s, Michael as clearly picking up, and I would have over years repeated Dreams, always at the SAME PLACE, a white Bed, meeting Michael, and did not understand it back then as I was too small, but still I knew he is “like me to a degree like no one else can be”, it was a deep soul knowing from the start when I saw him first sight at age 5. Isn´t it interesting? 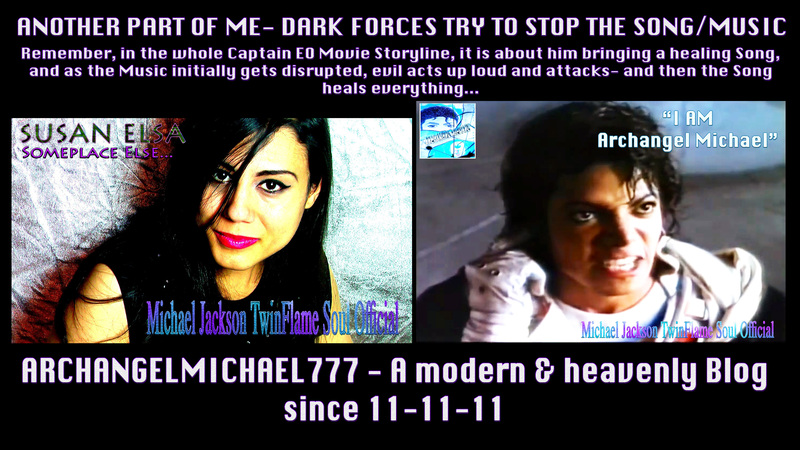 Think back, on his Disney 3D Movie “Captain EO”- the whole Storyline is about “dark forces attempting to disrupt and stop Michael´s Music”- the power within it. 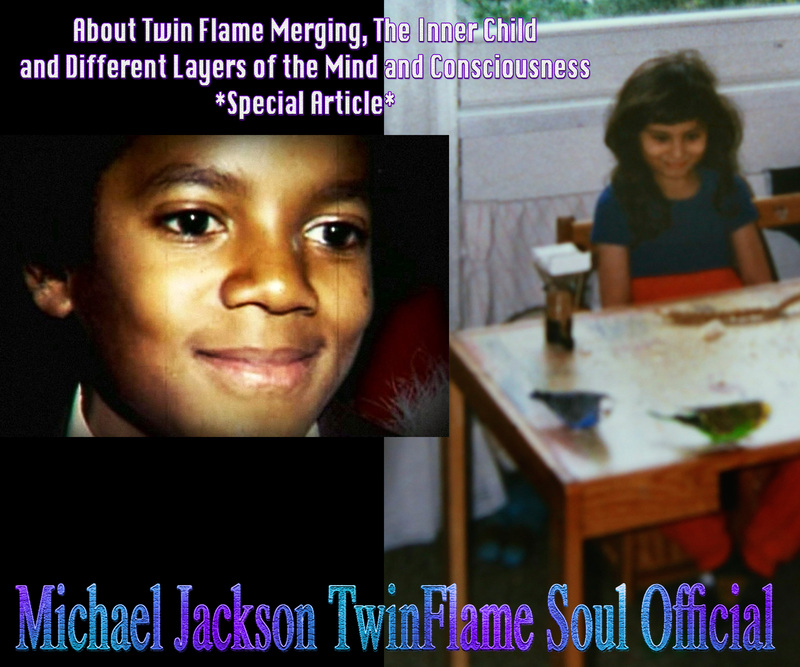 In this above image, you see insight into details over the years of the changes Michael went through, deeply in honest ways “discover himself fully”- which includes his Twin Flame! He did some genius, genius spiritual work that I will always be proud of him for. I am writing this article over a few days, so today is 3 days after I was last writing on this one as I got severe cyber attacks or so and could not use the Blog really, edit or publish I mean, same for the whole Internet signal it seemed. I never yet seen anything like it. Then, this time around, I decided to keep my will iron strong and focused on LOVE AND ONLY LOVE, and nothing else. No interferences can touch me any longer, nothing can stir my heart chakra or pierce my Aura. What then happened is very interesting. As I said, this whole strange technical issue happened, and I did not even try but take screenshots and more evidence for my lawyers, and totally ignored it, emotionally and mentally and spiritually, this time. Then, I felt my mind becoming clear like never before. And so, my will decides if I “feel interfered with or not” and I chose to not focus on these negative energies any longer, but use my full mind and soul power for love and spreading the light. I am calm, in the middle of the storm, in my heart. 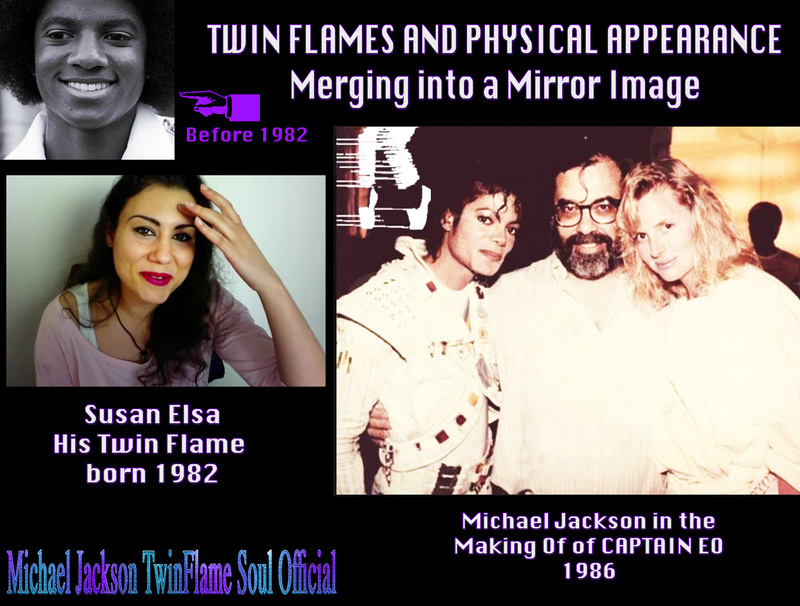 Now, what Michael explained is very interesting, and helpful for all Twin Flames out there to understand how it all works, in the complex connected mass consciousness. I advise anyone that thinks of Michael Jackson here as “their property” in some way, to go read something else and not continue. Thanks. He explained, that now I finally “got it” and he is very happy I achieved this evolution point now. Everything seems much easier and lighter. As I had explained, on a real life experience basis and very confusing at first, I have felt “all these people I don’t know connect to my consciousness field”- after Michael had ascended, came back in Spirit and then after this whole, let´s say, physical-spiritual connecting and merging magic he started with me. I had big trouble understanding it at first, or handling all those emotions at once. I have always been a very sensitive psychic Girl, with a lot of psychic empathy and compassion, that would just “bam-transmit others feelings to my heart” and if it was bad feelings, it would seriously hurt my heart. And in this calm, detached focus, just focusing on Michael and forgetting all the noise around us – I suddenly understood. 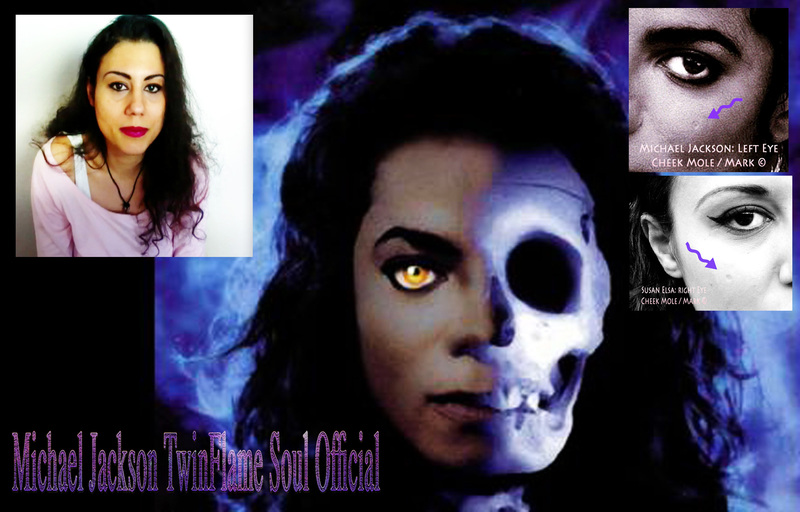 When Girls and Women out there, see in Michael “their twin flame” it is exactly that! He gives you a mirror reflection, a REFLECTION OF YOUR TRUE TWIN FLAME. 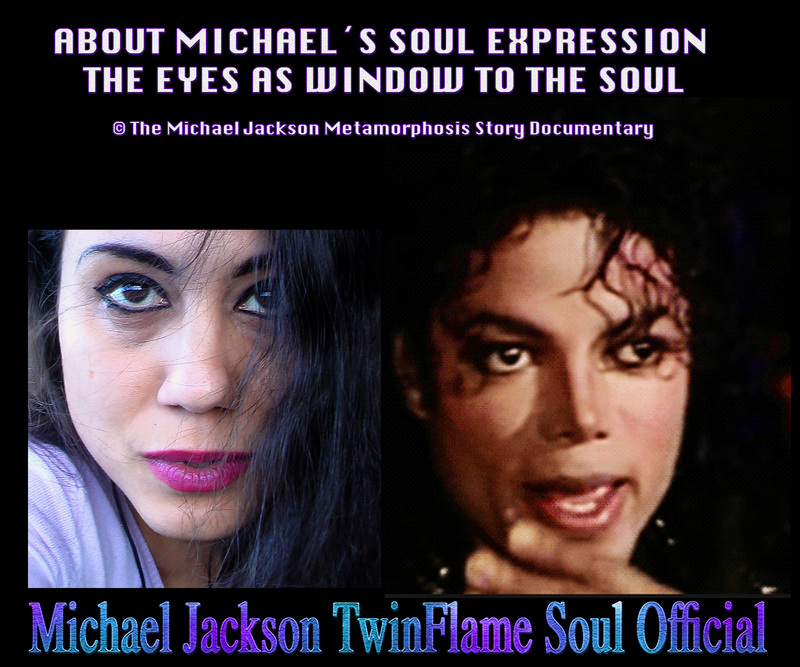 You are seeing in Michael, your own Twin Flame, not Michael or me. If you love Michael, then I am telling you, thank you and “don´t stop loving me”. If you love me, then I am telling you, thank you and “don´t stop loving you”. If you love yourself, you will love Michael. If you love Michael, you will love yourself. If you love me, then you will love Michael. And so it keeps going in the endless connected sea of consciousness and love, where we all are eternal beings of light and one big soul family, wherever we go. Our Consciousness is so big, that when we “sent out this major love”, meaning the rose flame with the help of Archangel Chamuel backing it up too, we “literally entered your minds”, to demonstrate this truth and bring healing light. 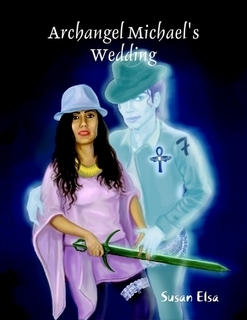 Michael said it in a great and perfect wording:” Through another part of me, we are sending out a major love ray into all your consciousness, the connected field, and through the Song and Joy, healing the Mass Consciousness from within”. 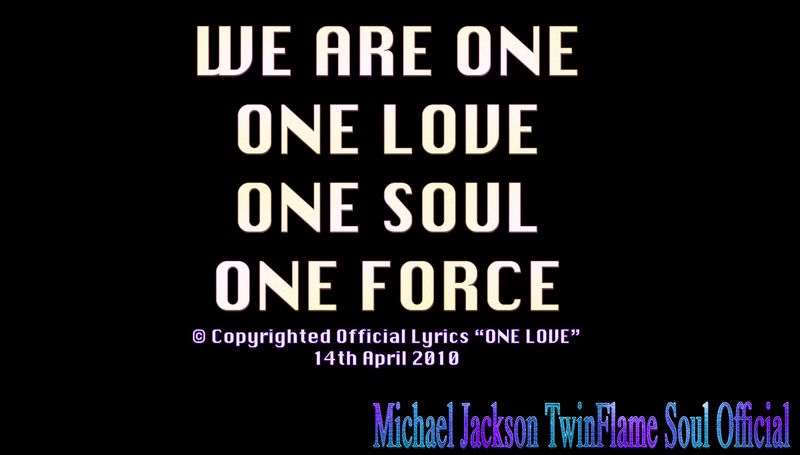 Michael can function like a “key to your masculine twin flame”, as I can function like a key to “your feminine twin flame”. This is it for today, and again, remember that we are now in times where LOVE is what is most needed in the World. Let us heal all cultural and ethnical barriers of illusion, and realise that we are all one and make, all together hand in hand, God proud of Humanity. Reblogged this on Garden Eden 777.